Many of the section and boat names in 3rdCB have a historical link. This page will give you an insight into where they come from. 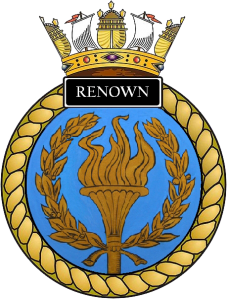 Renown Troop are named after one of the Leigh cockle boats which went to Dunkirk during WW2 to assist with the evacuation of British Troops. In 1928, the first Renown was built by Haywards of Southend. This historic vessel was part of the flotilla – The Little Ships of Dunkirk – which were used in the evacuation of the British army from Dunkirk in 1940 along with five other Leigh cockle boats. These boats were used to ferry troops from the beaches to the ships anchored in the deep waters. The boats each rescued around 1,000 troops during this mission but as they were starting back home the Renown hit a mine and the boat was completely destroyed with the loss of all the crew – Frank Osborne (son of Frank Osborne), Leslie (Lukie) Osborne (son of George Osborne), Harry Noakes and Harold Graham Porter. 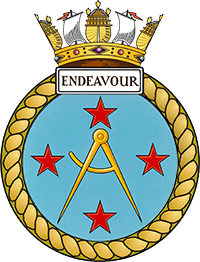 The crest is taken from the Royal Navy warships of the same name. There have been 8 HMS Renowns so far, but by far the most famous was the Battlecruiser launched in 1916, which served during both world wars. More recently the name was carried by a Resolution Class Polaris Balistic Missile Submarine, which formed part of Britain’s Strategic Nuclear Deterrent from the late 1960s to the mid-90s. Solebay Troop take their name from the former Sea Ranger Unit, SRS Solebay, which was 3rdCB’s girls section for many years before they transferred into the Scout Association in 2014. 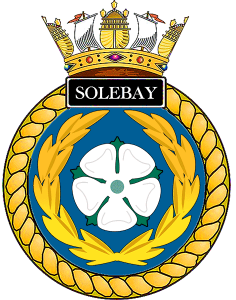 In turn they are named after the Royal Navy’s HMS Solebay. There have been seven ship’s to carry the name Solebay, the most recent being a Battle Class Destroyer which served between 1945-62. All of the Explorer Scout Units in Southend West District are named after rivers (Amazon, Ganges, Yangtze), so when we opened our own unit it had to follow that them, as well as having a naval link. We eventually settled on Endeavour, for a number of reasons. HMS Endeavour was the Royal Navy research vessel that Lieutenant James Cook commanded on his first voyage of discovery, to Australia and New Zealand, from 1769 to 1771, exemplifying the spirit of exploration. The Endeavour River is found on Cape York Peninsula in north Queensland, Australia. Endeavour is also an Old Leigh cockle boat and sister ship of the Renown, which helped evacuate soldiers from Dunkirk in 1940. She has been restored by the Endeavour Trust and is still based in Old Leigh. After Peter Royal, a former Scout Leader who left a significant bequest to the Group, which continues to give us financial support to this day. Nelson and Rodney were the Group’s original two Sea Scout Troops,. They were named in turn after HM Ships Nelson & Rodney, which were Nelson Class Battleships of the Royal Navy and served in World War 2. After one of the Group’s previous adopted warships, HMS Grafton, a Type 23 Frigate, which was decommissioned and transferred to the Chilean Navy in 2006. After Frank Bentley, one of the founder members who went of to become Group Scout Leader and President of the Group. Frank wrote the majority of the Group’s history book. After Rene Johnson, a former President of the Group, long time supporter, and mother of GSL Ian Johnson. After Mike Cruiks (nicknamed Spike), a former Troop Leader and husband of former Sea Ranger Leader Angela Cruiks. After Peter Kent, the Group’s former legal advisor and member of the Executive Committee. After Christian Parker, a past Scout and serving Police Officer who pasted away in the line of duty. After Carol Tissington, a former Group Scout Leader and Akela to the Cub Pack.